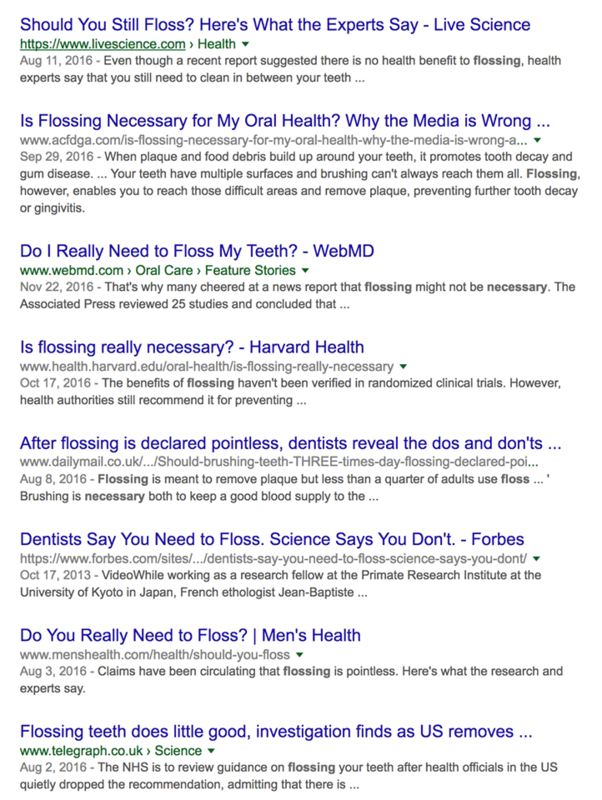 Flossing is a recommended practice all around, but it seems to fall to the wayside more often than not—there was this fuss on the internet right around this time last year saying it isn’t. So is flossing really that necessary? Won’t a vigorous brushing, or perhaps an intimate moment between yourself, a mirror, and a toothpick, achieve basically the same thing? Well, our dentist’s answer is: yes, it is still necessary. Dental plaque is a sticky, colorless film that grows on the surfaces inside your mouth, and it contains bacteria that feeds on the leftover food. This produces acids that wear away at the enamel of your teeth (the outer shell), leading to cavities. The bacteria can also be a cause for bad breath, which is a more immediate and embarrassing concern. Plaque hardens into tartar. By this point, you won’t just be dealing with fuzzy teeth and stinky breath, but also the high risk of developing gum diseases such as gingivitis and periodontal disease. The process itself is seemingly a no-brainer. It’s just a matter of getting that string between your teeth, right? But just because it’s easy doesn’t mean you can’t get it wrong. Raise your hand if you’ve ever ended up with carnage and bloodshed because you got a bit too enthusiastic when doing the deed. 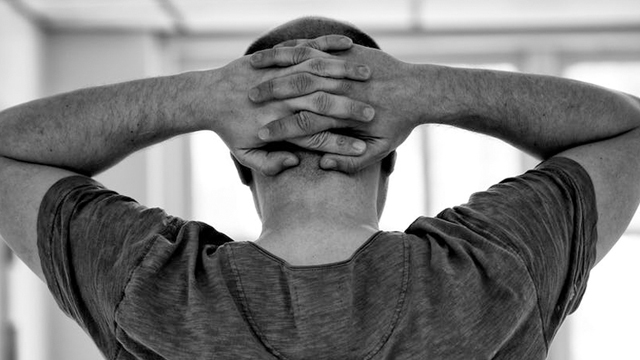 Pulling too roughly or snapping the floss can lead to serious harm, fellas. As a rule of thumb, if you start bleeding or feel pain and stinging sensations, you should stop. “[Flossing] incorrectly can damage the edges of the gums. So if you’re not flossing correctly, absolutely don’t floss at all,” warns Dr. Enrico Capulong, head dentist of ESEC Dental Clinics. He also advised visiting your dentist for proper hygiene education first. “The recommended method for flossing is to move the floss back and forth, up and down, while gently following the curves of your teeth,” explains Dr. Cupulong. “Brush twice a day with a fluorinated toothpaste, floss or use interdental cleaning once a day, and see [your] dentists on a regular basis. This is still is the best advice we can give patients as far as maintaining their oral health,” concludes Dr. Vito Cruz. Dr. Don Johnson Vito Cruz is a Senior Dentist and Oral Surgeon at Affinity Dental Clinics, and is based in Makati. Dr. Enrico Cupulong is the Head Dentist of ESEC Dental Clinics, and is based in Ortigas.